Biodegradable Printed Cotton Bags are reusable, washable and pure cotton fabric. We can do custom print. It looks elegant and good finishing. 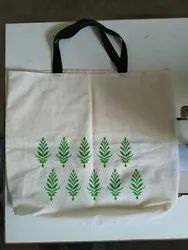 Printed Cotton Carry BagWe Print your company Name, Logo as per your requirement and supply you the printer cotton carry bag for our Green Environment. Our company is highly esteemed in offering Printed Cotton Bag to the clients. we have 4 sizes S, M, L, XL. And also we supply bags according to the requirements and dimensions. 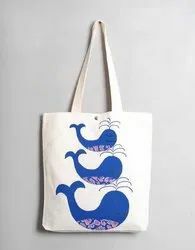 we have three standard measurment for bags and we can also able to supply as per your own required sizes depending on the quantity.printing can also be made on them. We are leading Manufacturer and Exporters of all kinds of cotton Fall Cotton Bag .